Knee joint pain is one of the most common types of joint pain reported by people in the U.S. and around the world. The knees are responsible for carrying the weight of the body and that alone can put a lot of stress on them. Add that to potential sports injuries, excess weight that puts more pressure on the knees, and other issues that can arise and you are left with a myriad of different causes for the development of knee pain. Injuries and arthritis are most often to blame, but there are plenty of other situations that can put stress on the knees and result in serious pain. Some person also uses knee brace for previous and after protection. There are two main types of knee joint pain. Finding relief depends on knowing the nature of the pain and how it affects your daily life. Acute pain happens suddenly, usually due to an injury, and only lasts for a short time. Effective treatment is much more successful in this situation. Chronic pain can have dozens of different causes and will come on slowly or suddenly, depending on the cause. It can carry on indefinitely and be finding a treatment is often much more difficult. In the case of chronic knee pain, management is often the most effective solution because effective cures are nearly impossible to find. 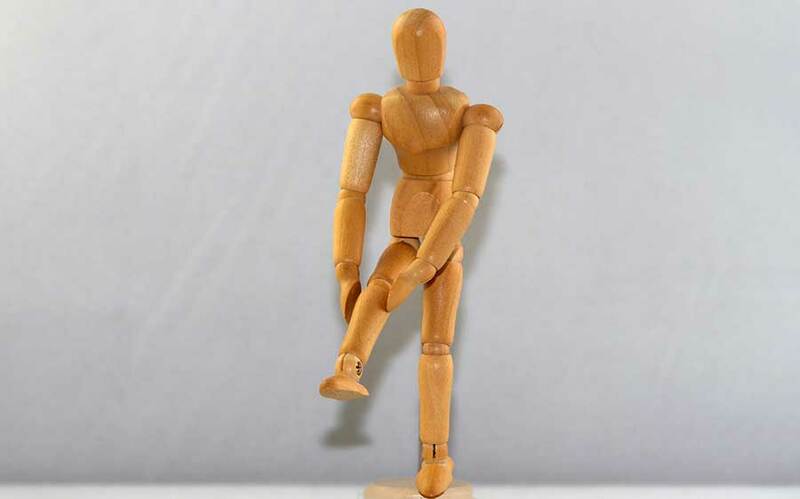 Any traumatic event or consistent stress on the knee joint can lead to pain. Constant motions, such as movement that is performed at work or during sports activities, can lead to knee joint pain. Injuries caused by accidents, sports, workplace incidents, and any other event can also lead to pain. Sometimes, the cause of the pain is simply age, arthritis, or poor health. Sedentary lifestyles also attribute to many knee pain cases where people experience pain as a result of lack of use or being overweight, which puts more stress on the joints. Although there are dozens of different causes of pain in the knees, these are the most common issues that present when people seek treatment. Taking care of your knees is important because they are an important part of your body. Without good knees, the rest of your health and life can be affected seriously. If a pain management or treatment solution is not found, surgical intervention could be required at some point to alleviate the issues. Knee replacement surgery is more common than people think. In the U.S. alone, there are almost 300,000 surgeries performed every single year. This number is on the rise and the demographics of patients is changing, as well. In previous years, about 70% of knee replacement procedures were performed on patients over the age of 65. Today, as many as 45% of the patients receiving a total knee replacement in the U.S. are under the age of 65. Although this is the last resort, it is often the only solution that some people have for knee joint pain. Try to find effective management and treatment options early so that you don’t end up facing this major procedure as your only option for relief.